Sobriety checkpoints are stops where there is no need for probable for a BAC test, so long as the checkpoint was set up and operating according to all necessary laws. An officer may pull you over for any form of erratic driving. This may be any driving behavior such as swerving, speeding, driving unusually or unsafely and anything else that seems irregular or suspicious. An officer has probable cause for pulling any motorist over that violates vehicle codes and/or regulations, such as a broken tail light, an expired registration, missing mirrors and more. 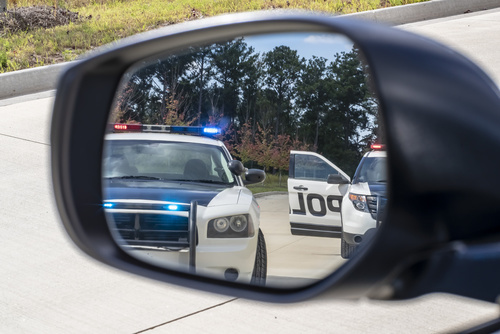 If you violate any rules of the road, it is legal for you to be pulled over. This can be anything from speeding to running a stop sign. Once you are being pulled over by an officer, if they suspect you have been drinking, then they may test your BAC. You do not have to be initially pulled over for a DUI to receive a DUI. If a fellow driver or other civilian calls to report you and/or your driving, that is enough probably cause for an officer to pull you over. Again, you do not have to be reported for or pulled over for a DUI to receive a DUI, there just needs to have been some form of probably cause for being pulled over in the first place. For cases in which you were pulled over illegally and received a DUI charge, call the offices of Jarett J. Benson today. With the best representation in Denver, Colorado, we will help guide you and your family toward justice. Our team of attorneys is knowledgeable of the law and will be able to get to the bottom of your case, and be able to prove how and why your stop was illegal. Give us a call today to set up your consultation.